1. Preheat oven to 350 degrees. Place white bass fillets in a baking pan, drizzle with olive oil, and sprinkle with sea salt and black pepper. Add 2 tablespoons water to the pan to keep the fish moist during cooking. Bake for 15-20 minutes or until the fillets flake easily with a fork. 2. Drizzle a sauté pan with 3 tablespoons olive oil, and heat over a flame. Add chopped garlic and shrimp, and cook until sizzling. Turn the shrimp and add the capers. 3. 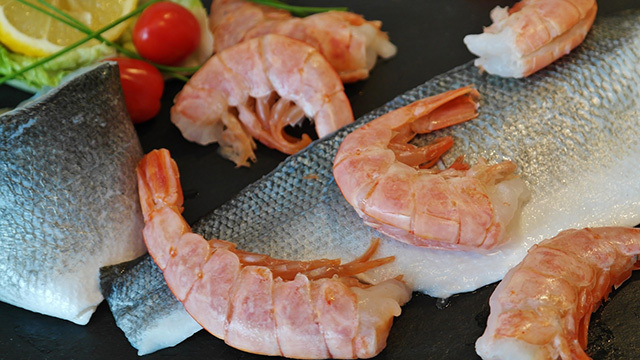 Continue cooking until the shrimp are almost opaque, then add the remaining ingredients, except the parsley. Stir over medium heat until the sauce thickens, then add the parsley, remove from the heat and serve the sauce over the plated white bass fillets. 4. Garnish with sliced lemon and serve with your favorite sides.